Focused on giving students as many opportunities as possible, Belmont University has countless partnerships with different groups and organizations around Nashville. For 38 Belmont students, these unique opportunities mean marching alongside students who attend school just across Wedgewood Ave. as they suit up as members of the Vanderbilt University Marching Band. Standing at 125 people strong, the band is made up of a significant number of students who do not call Vanderbilt home. In fact, 54 (or 42 percent) of the program’s participants attend Belmont, Lipscomb and Trevecca. According to Vanderbilt’s student newspaper, the Vanderbilt Hustler, the band is a big part of boosting spirit and morale at football games throughout the fall. Called The Spirit of Gold, Belmont students who make up the band feel a sense of fellowship with the other students involved. 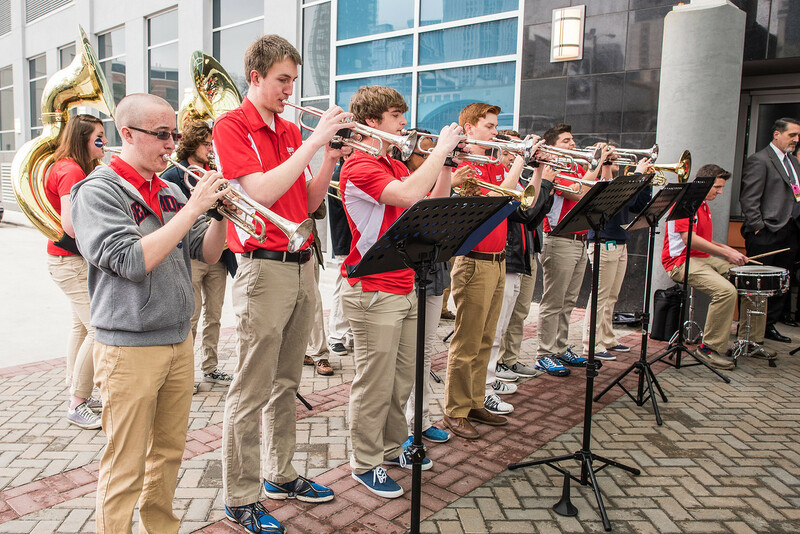 In a Vanderbilt Hustler article, Belmont audio engineering technology major Matthew Bligh said that joining the Vanderbilt band gave him a strong sense of community in Nashville. He also said that he thoroughly enjoys being in the band and plans to continue his involvement. Both Belmont and Vanderbilt students said that being in the marching band is about coming together and playing music and not about if you go to a different school. Students interested in joining the Vanderbilt marching band can visit their website to learn more here.